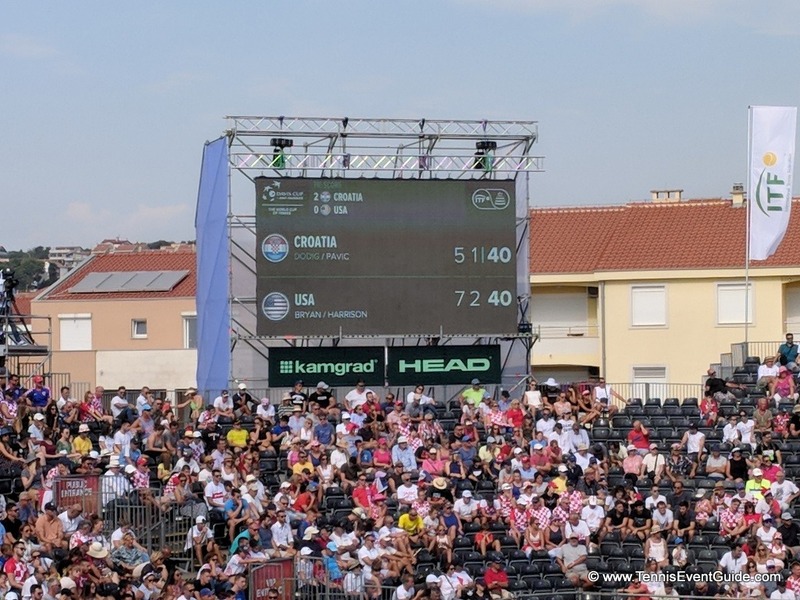 There are a few places to play tennis in Split Croatia and here is all our information on courts, clubs and pros, so you can play tennis on your next vacation to Split. 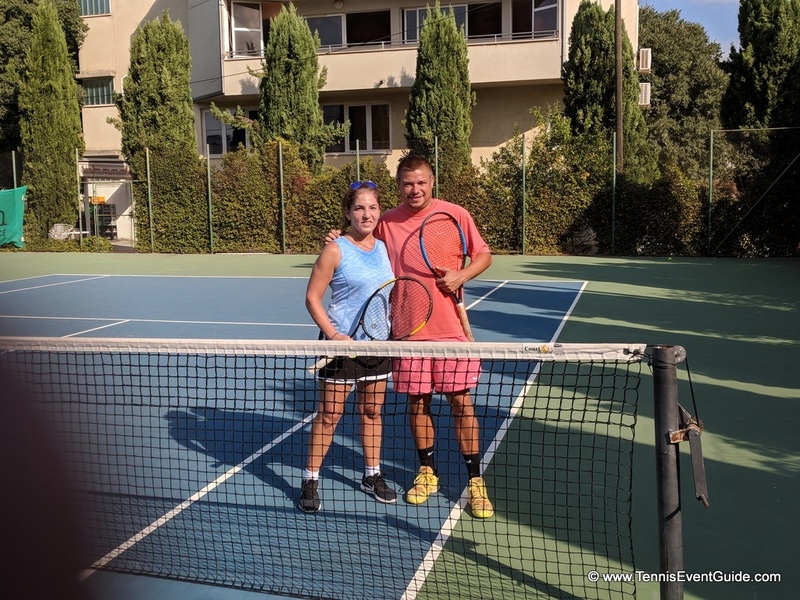 Playing tennis in Split is a bit more hidden than other places around the world, but there are a few clubs, courts and pros to teach you and just hit. 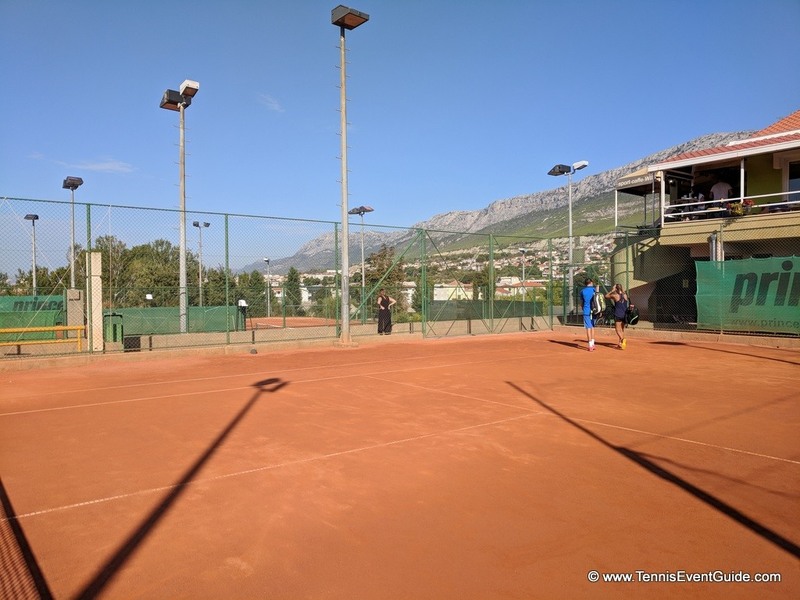 After spending a month in Split gathering information from the web, my Tennis Pro, Igor, Facebook and Trip Advisor, and combining everyone’s notes, calling and emailing places, here is some information on great places to play tennis in Split. I got really lucky when I arrived in Split for my 6 week trip and met a fabulous, pro, Igor Skoric. He’s a full time pro who primarily teaches kids, but made time in his schedule to hit with me. Having a pro is important, as it can be a challenge to reserve courts without one at prime times. Igor always hooked me up and we played at three different clubs/courts. 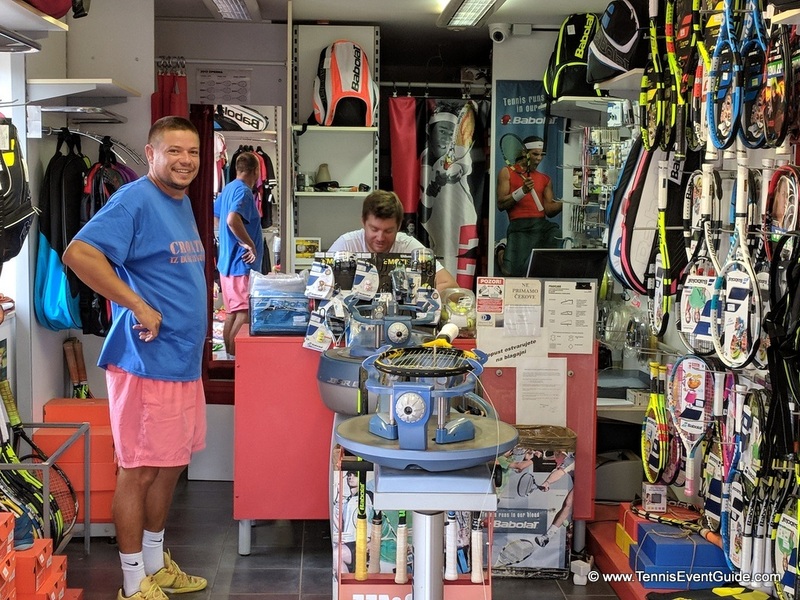 The tennis pros in Split all know each other, so even if you can’t connect with one, they will gladly refer you to someone who can work with you while you’re in Split. Average rates are $30 an hour give or take a few dollars. 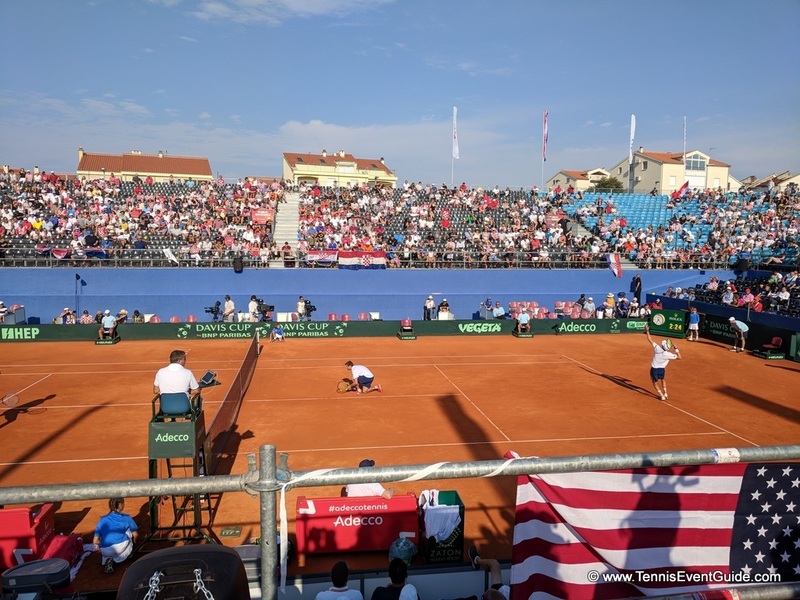 Lucky for me, I got to experience a true bucket list, once in a lifetime experience and attend the Davis Cup in Zadar! I took an easy 2 hour bus ride from Split and when I arrived, their systems were down, so all the tickets were FREE!!!!! Too bad for them – but YAY for me! The stadium is small, so any seat in the house is good, but I was a little hesitant at cheering for the visiting team (USA), so I managed to work my way down to the USA cheering section where I was given a pom pom and felt comfortable yelling as loud as I could. While USA lost the semi finals, I got to see us win an epic doubles match with Mike Bryan/Ryan Harrison def. Mate Pavic/ Ivan Dodig.